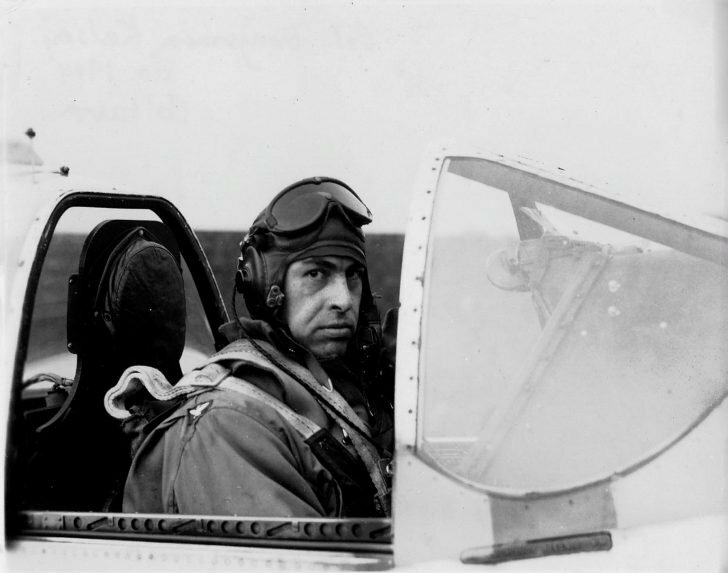 American pilot in the cockpit of the P-51 “Mustang” fighter of the late production series at the airfield of the Poltava air hub. Operation Frantic. P-51 “Mustang” fighters, who accompanied the B-17 bombers in their raids from Soviet airfields, were based at Mirgorod and Piryatin aerodromes.